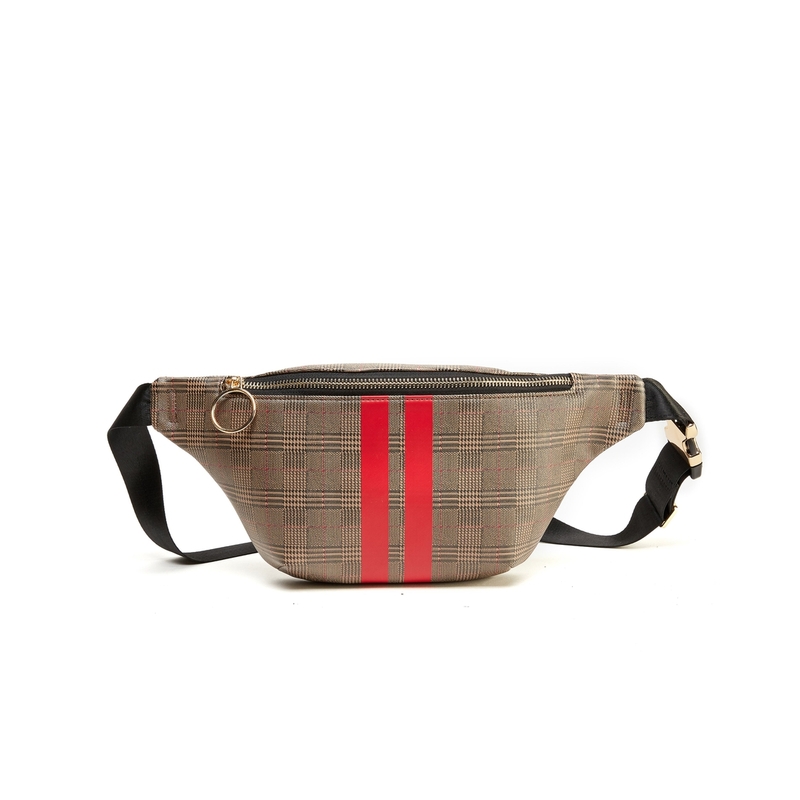 The LIKE DREAMS Racer Stripe Plaid Fanny Pack is great for guys and girls! Men, the belt bag is large enough to fit all the essentials from cell phones, battery packs, wallet, and even foldable headphones! And ladies from cosmetic bags to cell phones the LIKE DREAMS Racer Stripe Plaid Fanny Pack spacious interior will be sure to zip up all the way. It also features smooth polyester lining, webbing tape adjustable strap, and an interior slip pocket.